Are you looking for ways to help your little one get dressed independently? If you’re like many parents, one of the biggest stumbling blocks is having clothing readily available for kids to put on. Unless I set out specific outfits, our sons usually put together some very interesting clothing combinations! Usually I just let them where whatever they have decided to put on, but with the school year fast approaching, I wanted to put together a more organized system to help them get ready on their own in the mornings. 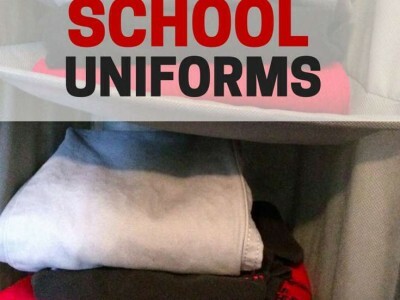 Our sons go to a school with uniforms, and I’m always unsure if I have clean uniforms for them to wear each day. In an effort to be more organized about school uniforms, I bought each child a hanging organizer for his closet. 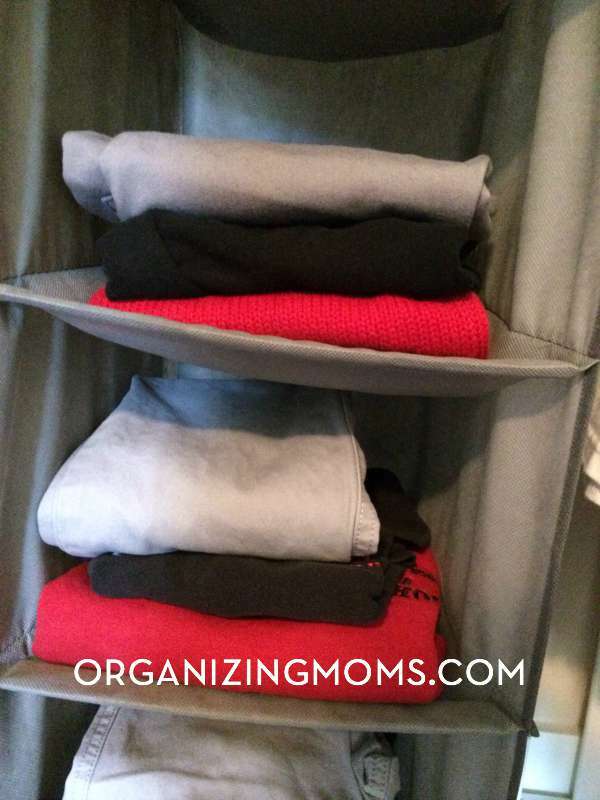 The organizer we used was small enough to hang on the bottom closet rod. Although our kids still need some assistance in getting dressed, this makes it much easier for them to start to get ready in the morning. It’s also helpful to me, because I can glance at their clothing organizer and see if they are in need of more school uniforms for the coming days. 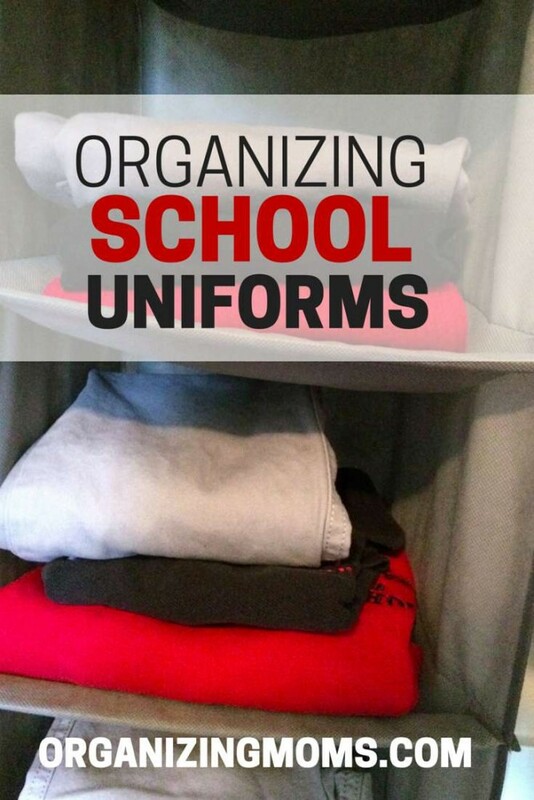 For us, it’s a great method for organizing school uniforms. 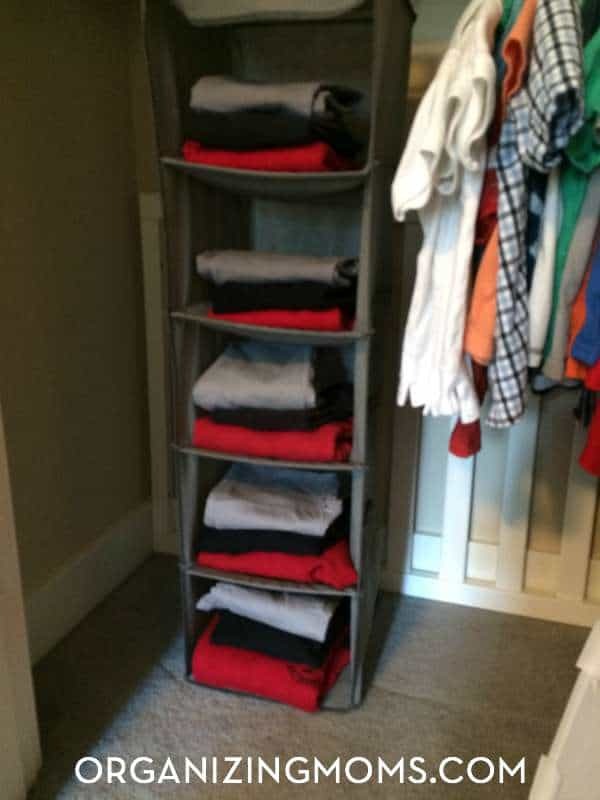 Although we are using our organizers for school uniforms, it could also be used for regular outfits too. Once children understand that they can get their outfits from the organizer, they’ll be able to start getting dressed on their own. 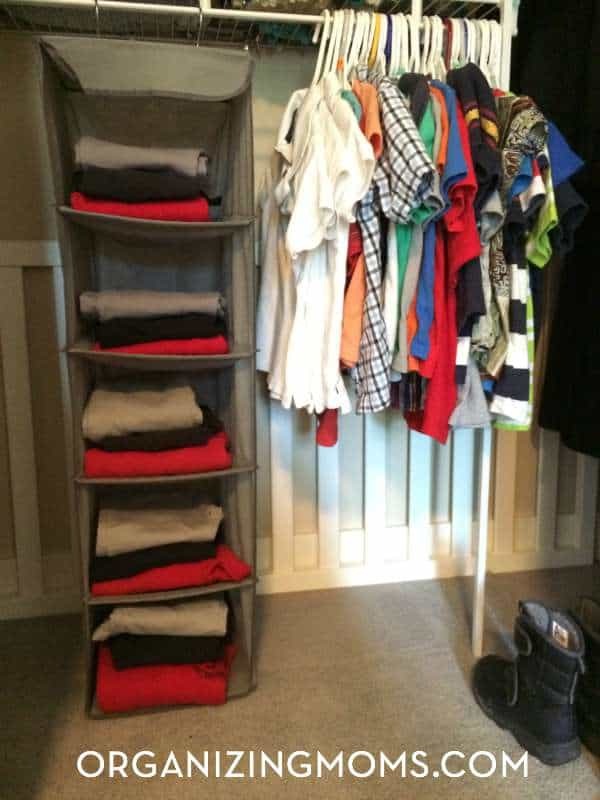 To test out this system, I started putting regular outfits in the organizer so our boys could get used to the idea of grabbing their clothing from it. Our sons don’t completely understand the concept of the days of the week, but I’d eventually like to add some days of the week labels to the compartments. That might help them to build awareness of the days of the week, and attach more meaning to them.